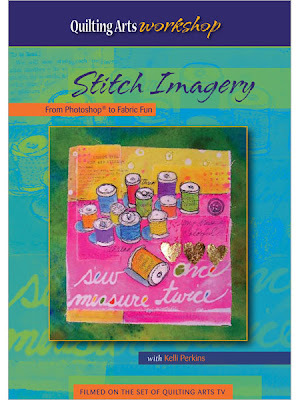 Create whimsical fabric paintings from your own photos. Turn a snapshot into a quick watercolor collage, then print it on fabric with Bubble Jet Set® and your inkjet printer. Learn how to add interest with bleach discharge, ripped layers, stamping, and foiling. Pump up the juicy color with textile paints and oil pastels. Add the magical touch of free-motion thread sketching and your stitched image is ready for use in quilts, purses, pillows or other mixed-media projects. Beginners welcome!